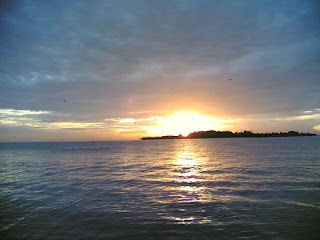 Pulau Seribu or the thousand island group is a group of small islands scattered in the bay of Jakarta. 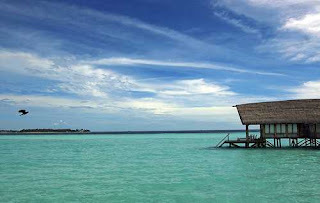 Pulau Seribu is located some 90 km from Jakarta making it easily accessible by ferry from Ancol in Jakarta or by air. In total there are 110 islands and many have been developed to service tourists. The islands this group geared towards tourism include Pulau Bidadari, Pulau Ayer, Sepa, Coconut, Pelangi, Bira, Pantara, Kul-kul and Pulau Putri and are the main islands for accommodation, dive shops and restaurants. The Pulau Putri Paradise Co. has developed Pulau Putri, Pulau Melintang, Pulau Petondang and Pulau Papa Theo as a holiday resort with cottages, restaurants, diving and sailing facilities. Resorts and recreational activities abound and although the aforementioned are regarded by many travelers as above-their-budget, there are other smaller places to suit everyone. Interestingly, the northern area of the islands is a national marine park The reef systems surrounding Pulau Seribu are home to a magnificent underwater world with a wide variety of fish, making it an ideal spot for diving, snorkeling and fishing. Besides chilling out on the beach grabbing some rays from the sun there are quite a few other things to see and do. For instance, the ruins of VOC’s Fortress are interesting and used to be centre of Jakarta’s defence against the British invasion during the Dutch occupation. Adventurous people might be interested in jet skiing and banana boating. There is also canoeing and rafting available. Speedboats from Marina Jaya Ancol, in Jakarta take about 20 minutes. Bidadari island is only 15 kilometers away from Jakarta.